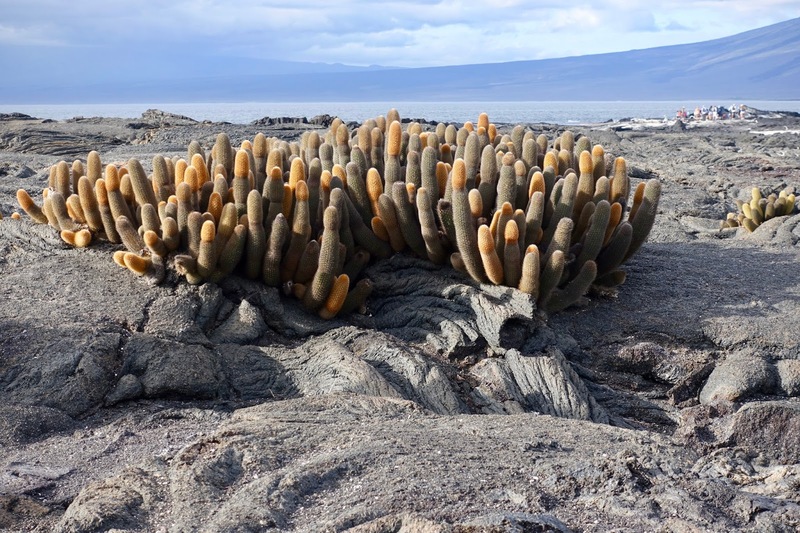 The Galapagos Island, known for their unique wildlife and out of this world landscapes, had been on top of my travel bucket list for years. This year, a dream came true for my husband and I when we set out for a journey to this archipelago, located almost 1,000 km west of continental Ecuador, with its incredible endemic species and its fantastic volcanic landscapes. 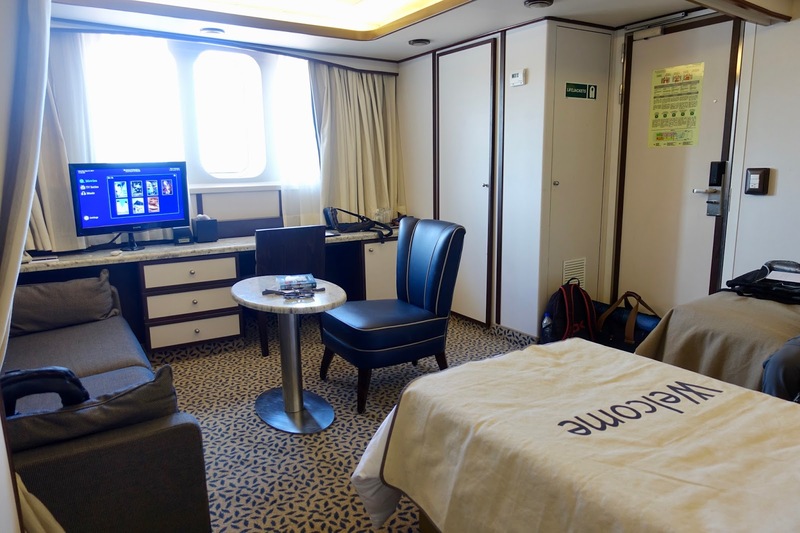 As we only had one week to explore these enchanted islands and as we wanted to have a comfortable trip, we opted for staying on a vessel, although not having been into cruising so far. But this is the only way to see many different places with several shore landings per day. When it came to the question whether to choose a small or a large boat, we went for the latter because of having more space available and the prospect of a quieter trip. 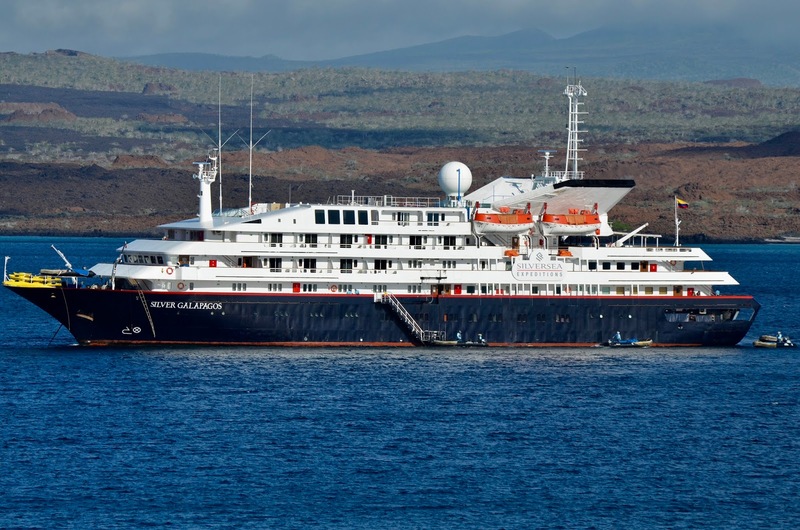 As to what ship to opt for if seeking luxury, the Silver Galapagos is the best choice. No other ship cruising the area has that many amenities and that much open deck space. Although quite considerable cost are involved with it, we went for it. 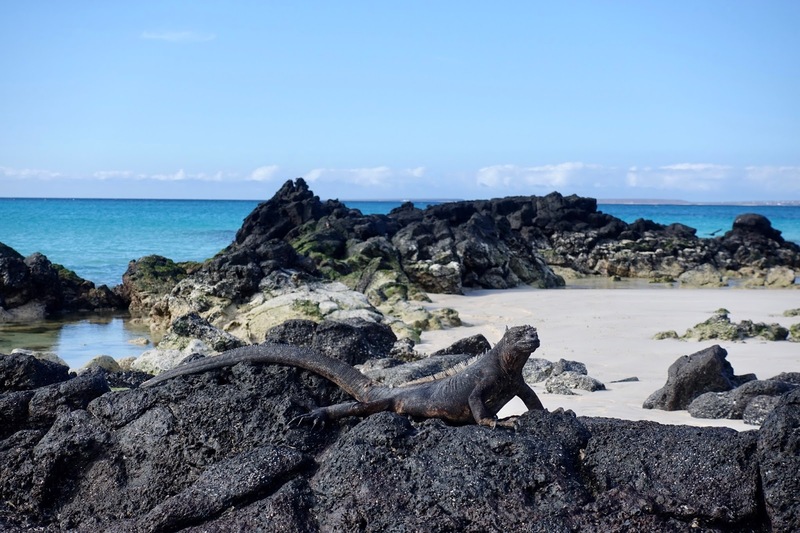 We are ready to spend money for luxury travel if we get value for money, and it was indeed the most luxurious way to explore the Galapagos Islands! 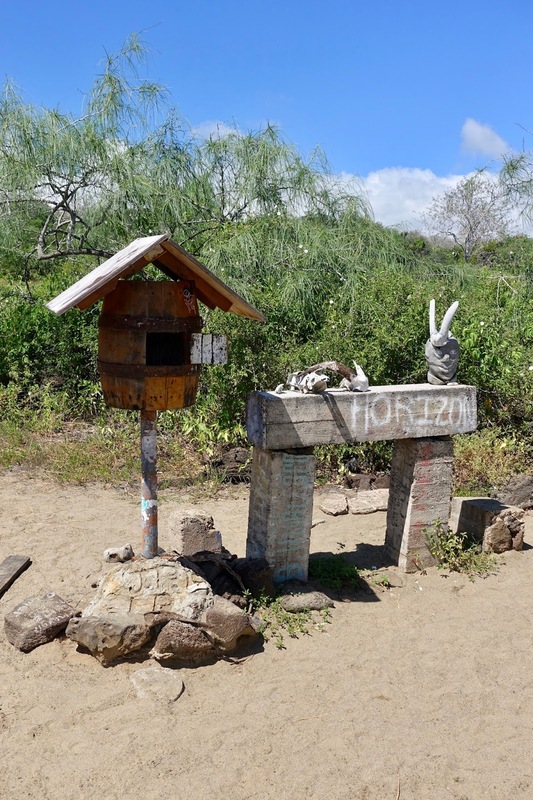 Before describing a typical day aboard of Silver Galapagos in my next post, I go into the itinerary and what can be seen when cruising the western Galapagos Islands. 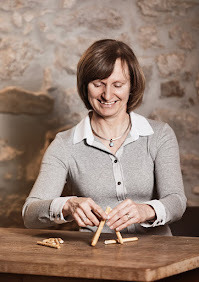 If you are not familiar with the way this archipelago is travelled, here how it is done. 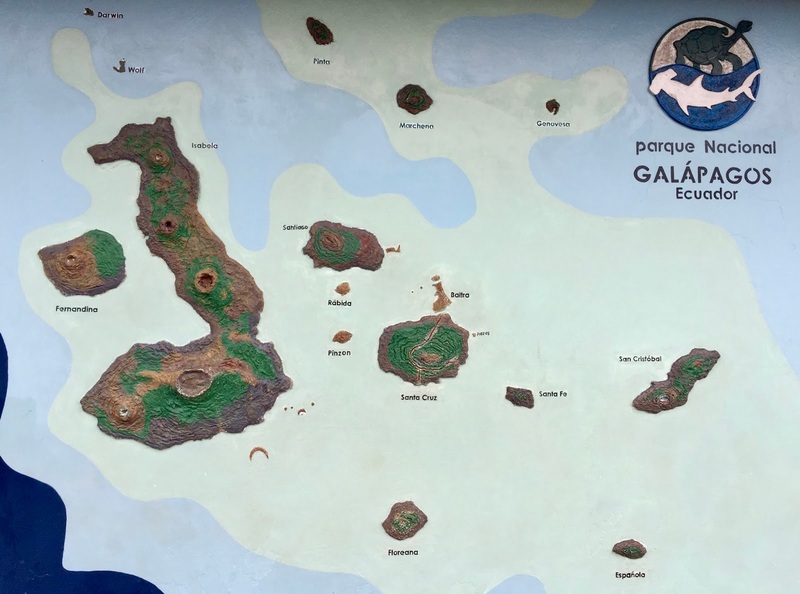 In 2011, the Ecuadorian government and the Galapagos National Park introduced an East/West island split, i.e. some boats do the eastern islands, while other make the western ones. Most boats make both itineraries on alternating weeks, so it is possible to do the whole archipelago if you have two full weeks available. 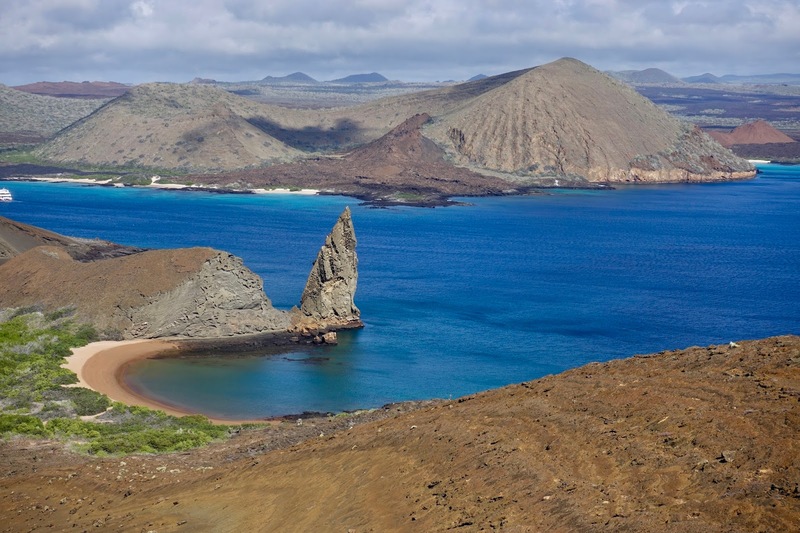 If you are short on time (and money) as we were, you have to decide whether do opt for the eastern or western Galapagos. Whereas the eastern ones are older and lusher, the western ones are younger and rockier. But there is really no bad choice! I have to admit that we did not dwell on this subject, we just chose the one which was time wise more suitable to us. 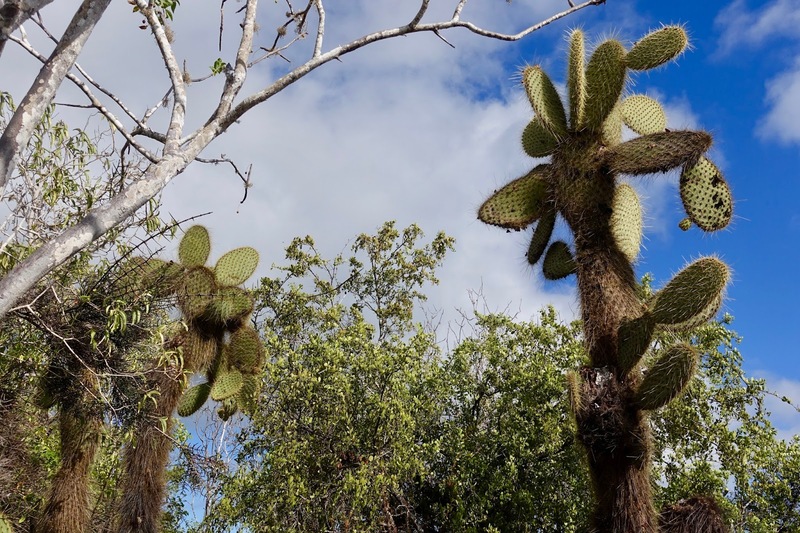 Before cruising the Galapagos Island, we visited Ecuador’s highlands. 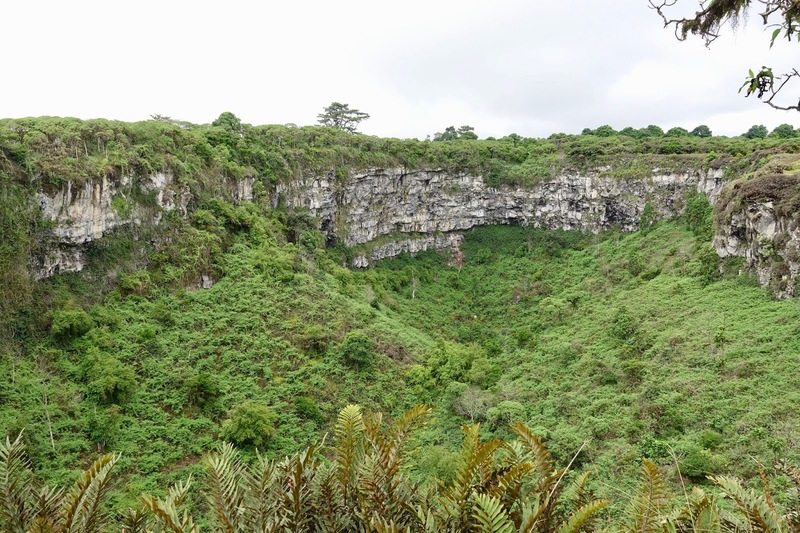 I highly recommend to this because of the abundance of natural and cultural sights to find there. 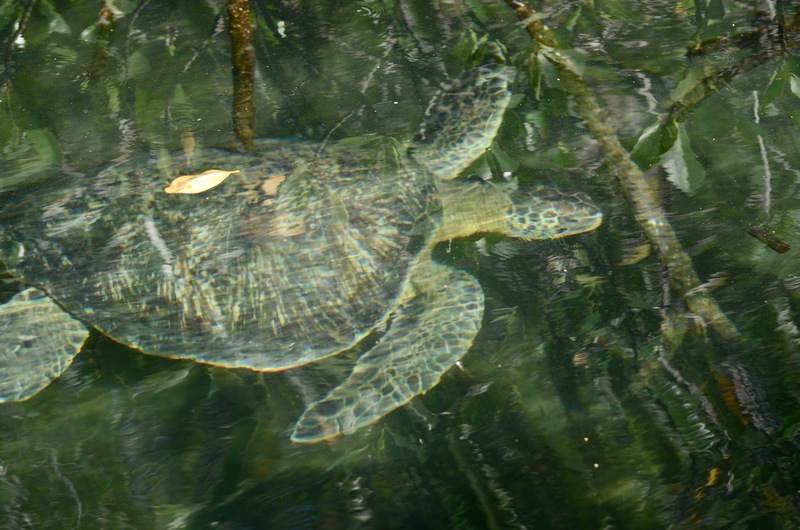 Have a look at my posts what to see, where to stay and where to eat on a luxury stay in Ecuador’s Andean region. 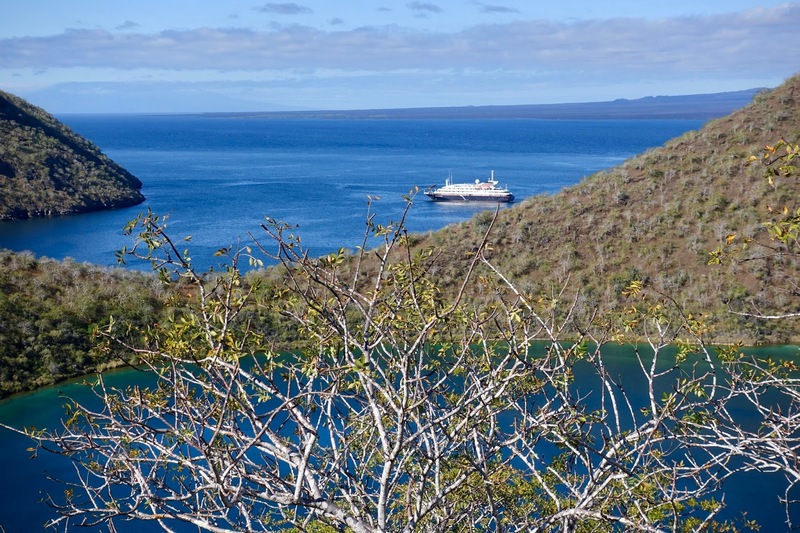 On this 7-day journey aboard Silversea’s luxury ship Silver Galapagos we cruised the Galapagos Island and saw unique birds, plants, reptiles and animals that appear only here. 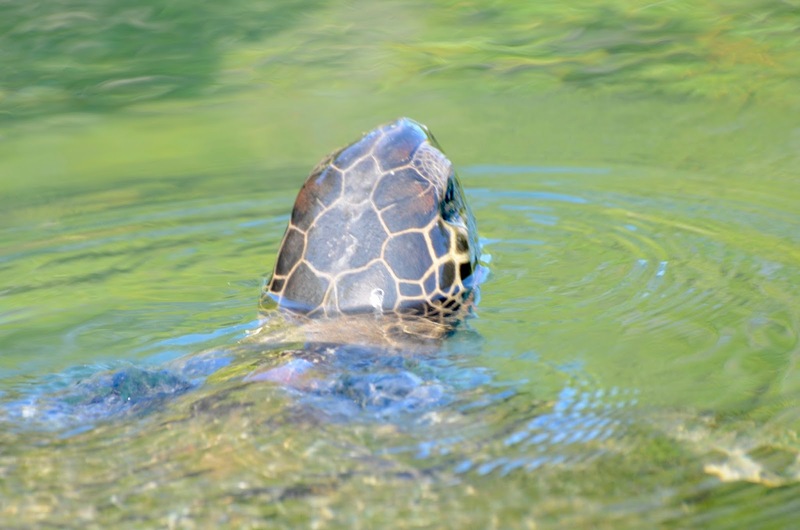 Highlights included visiting one of the most volcanically active places on Earth, snorkeling and while doing this seeing penguins, sea lions, all sort of colorful tropical fish found nowhere else as well as seeing giant tortoises and the largest colony of marine iguanas. And the best is the animals do not go away when you approach. They do not have natural predators and are therefore fearless! 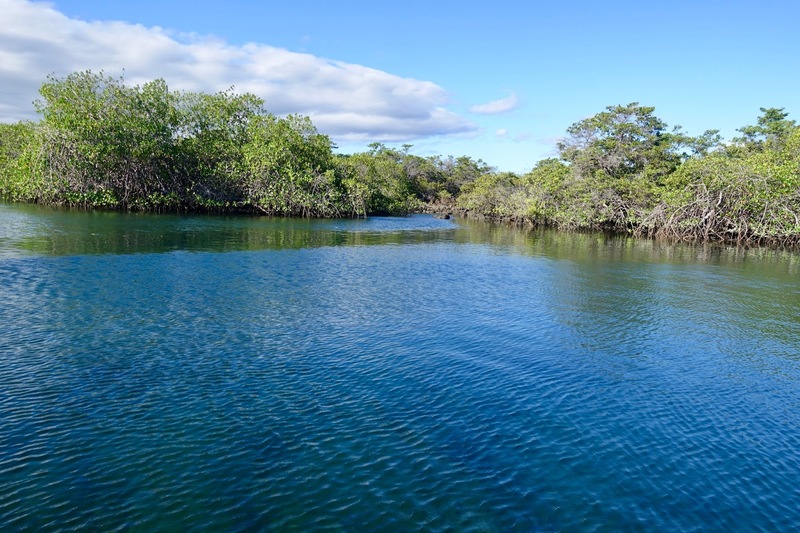 We embarked the Silver Galapagos at San Cristobal and after meeting the expedition team we set sail. Later on, we circumnavigated Kicker Rock, the remains of a lava cone. 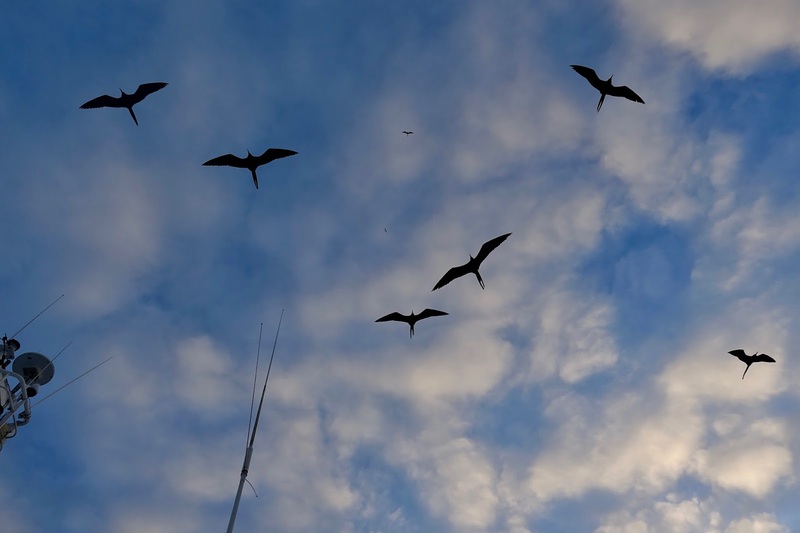 Frigatebirds accompanied our sail and swallow-tailed gulls could be seen. 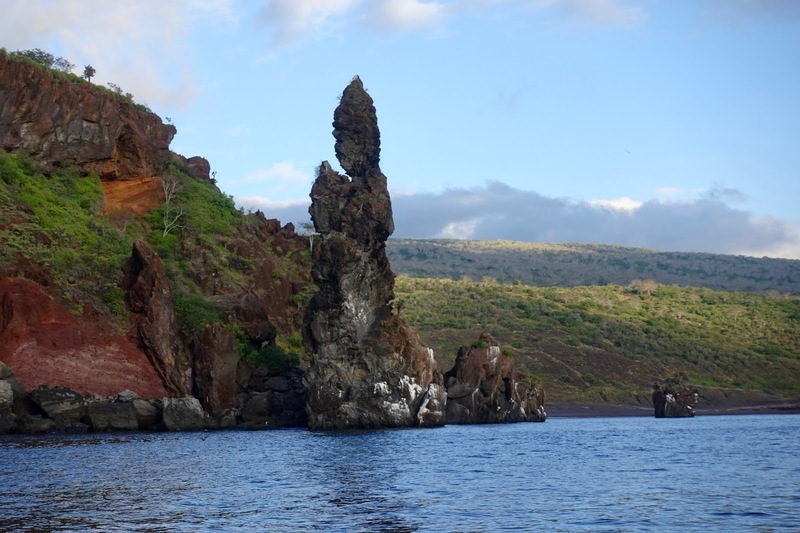 Our first landing was on Bartolome, a tiny island just off east of Santiago Island. 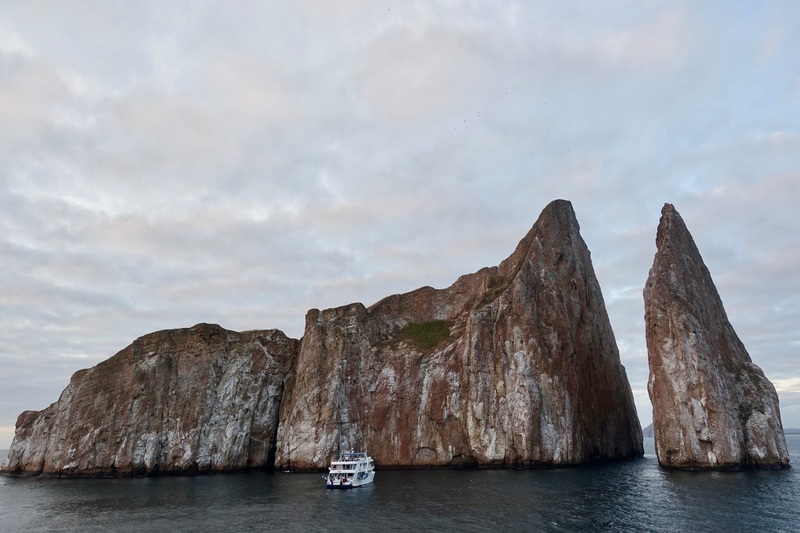 We hiked 388 steps to one of the Galapagos Islands’ most beautiful panoramic viewpoints. Our watching out for Galapagos penguins was successful. Two of them sat on the rocks, but unfortunately very far away. 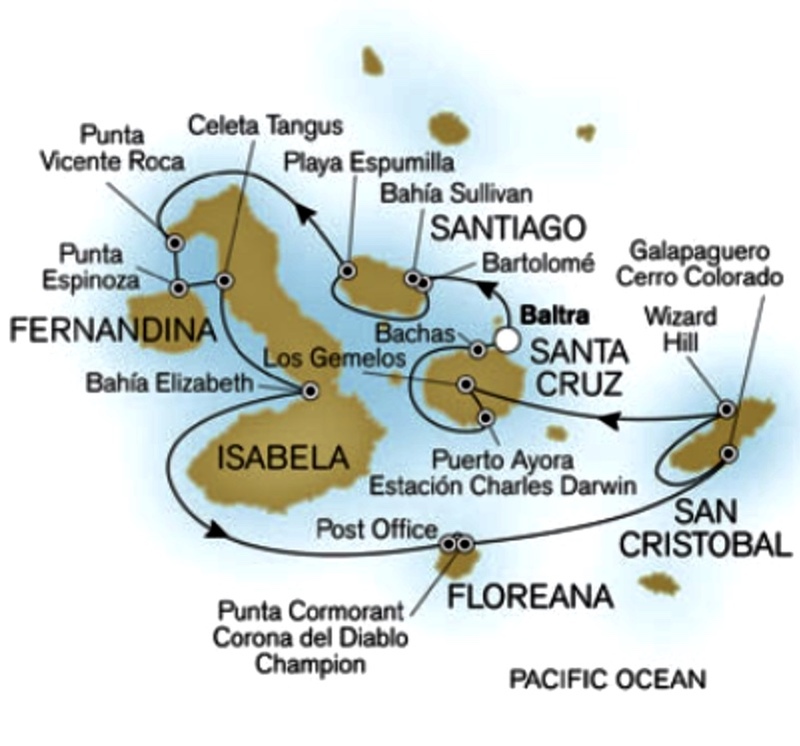 Then snorkeling around Bartolome’s Pinnacle Rock was on to explore the fascinating water world. Some fellow passengers even encountered Galapagos penguins and sharks. Finally, after the ship repositioned to Santiago Island, a Zodiac ride along the Caleta Bucanero allowed contemplating the beautiful landscape and sights of several species of boobies, green sea turtles, seals and marine iguanas. The coastline of Ecuador Volcano was explored from the zodiacs. Blue-footed boobies, some marine turtles and marine iguanas could be observed. 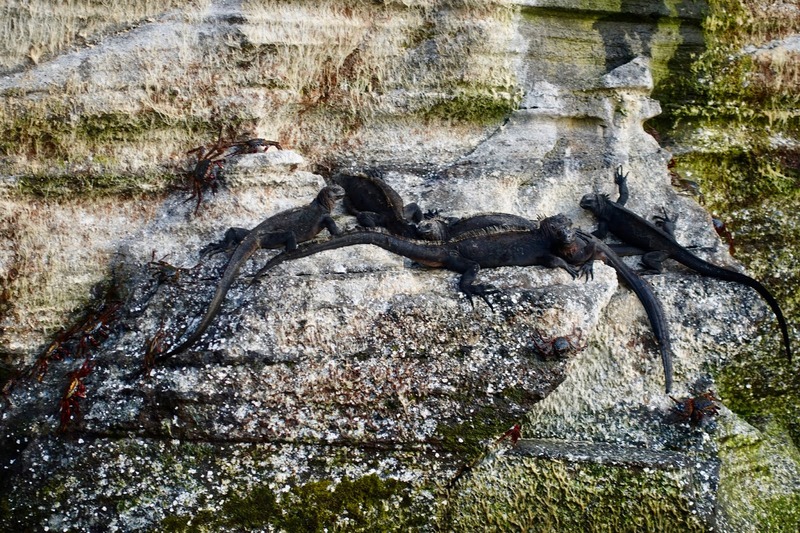 In the afternoon after the repositioning of the ship to Fernandina Island, Punta Espinoza provided the chance to see major concentrations of marine iguanas. They were literally everywhere, you had to be careful not to step on them by accident! 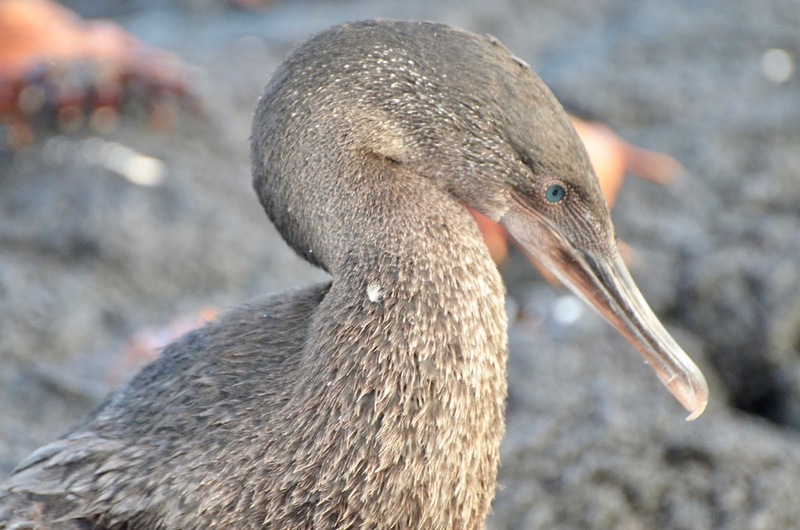 Also a flightless cormorant was seen in action, hopping from one rock to another. Also there were many sea lions on the beach, cuddling up with each other. 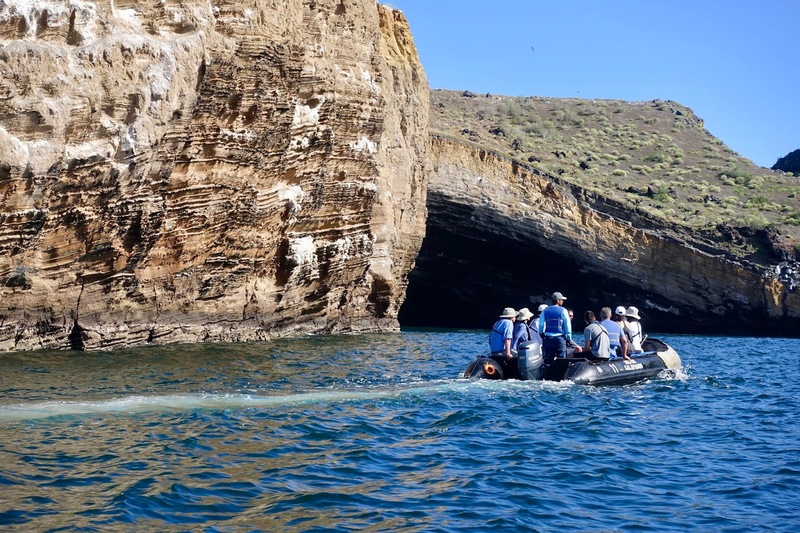 In the morning, the program included a hike to Caleta Tagus, a beautiful cove, sheltered by two volcanic craters. A dusty trail led to a viewpoint for Darwin Volcano. As we climbed we got a good look at the saltwater lagoon in one of the craters and at our ship in the cove. 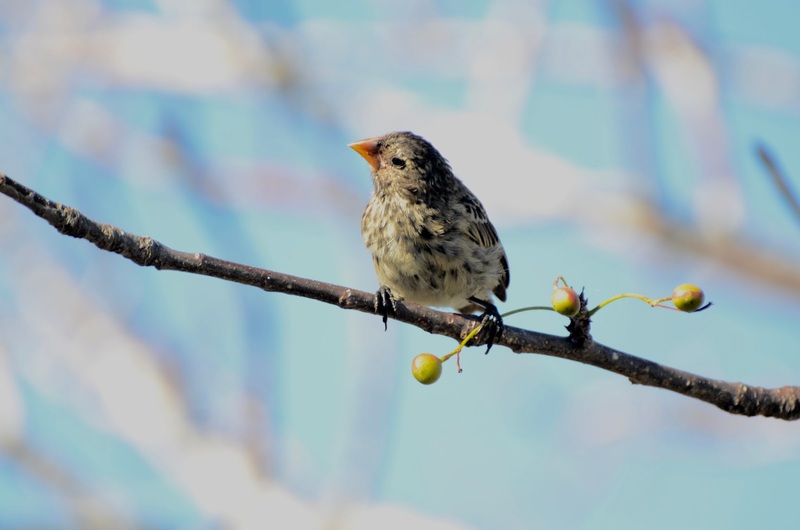 Sights included Galapagos finches and mockingbirds. Heading to Bahia Elisabeth in the afternoon by zodiac, we saw the tallest red mangrove trees in the Galapagos and observed green sea turtles, pelicans, herons and sea lions. On Floreana Island, we followed the whaler tradition and dropped a letter – in our case a postcard – in the barrel at the Old Post Office –, which by the way arrived a couple of weeks later! 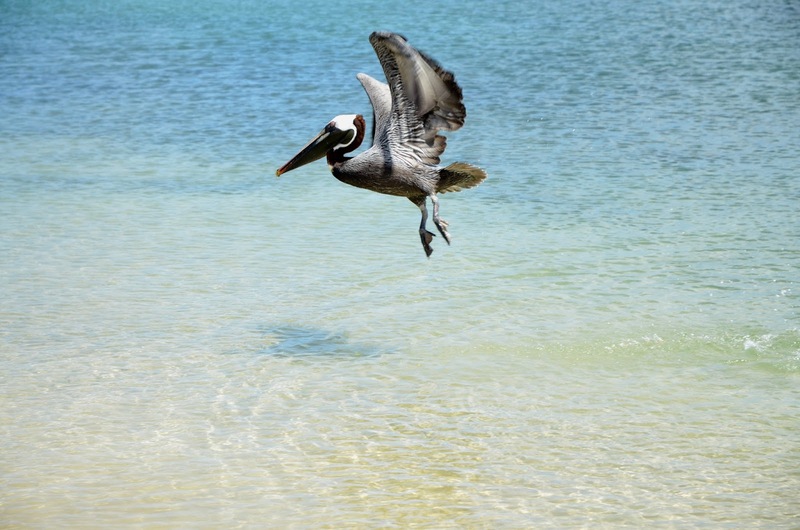 While strolling along the beach, there were some pelicans and boobies plunge diving for food. 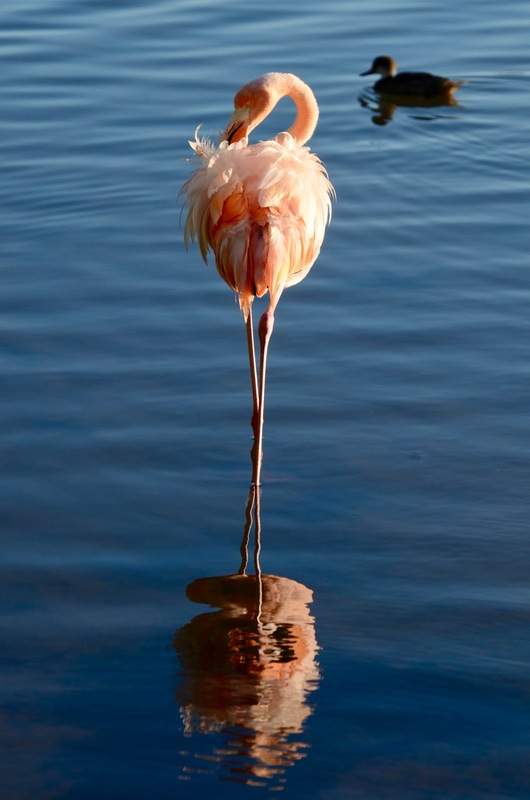 At Punta Cormorant, a walk brought us to a water lagoon where we found many flamingos. Some of them took off letting us see a beautiful black and pink pattern on their wings. The sun was setting at the time we started back to our ship. 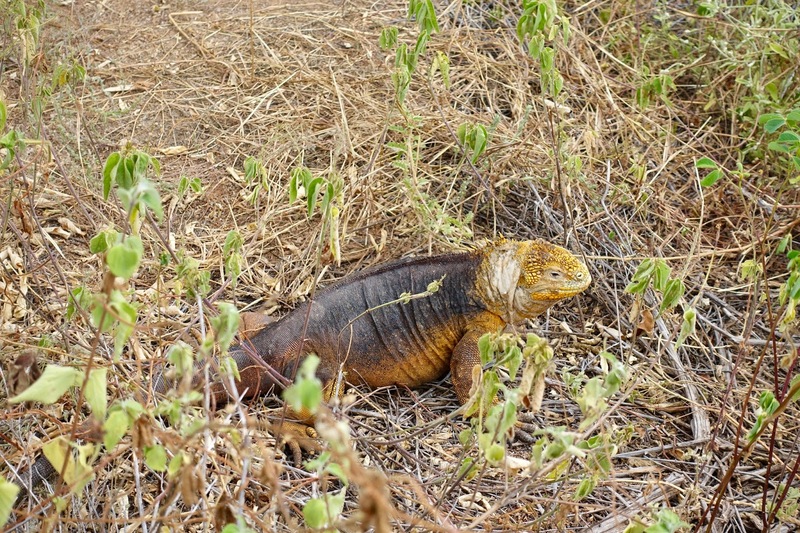 After landing we made our way towards the trailhead in order to see yellow iguanas, passing splendid Galapagos cactus trees. We actually caught sight of a handful of these grimly looking reptiles, which are a bit skittish as the smaller ones might be easy prey for birds as herons. 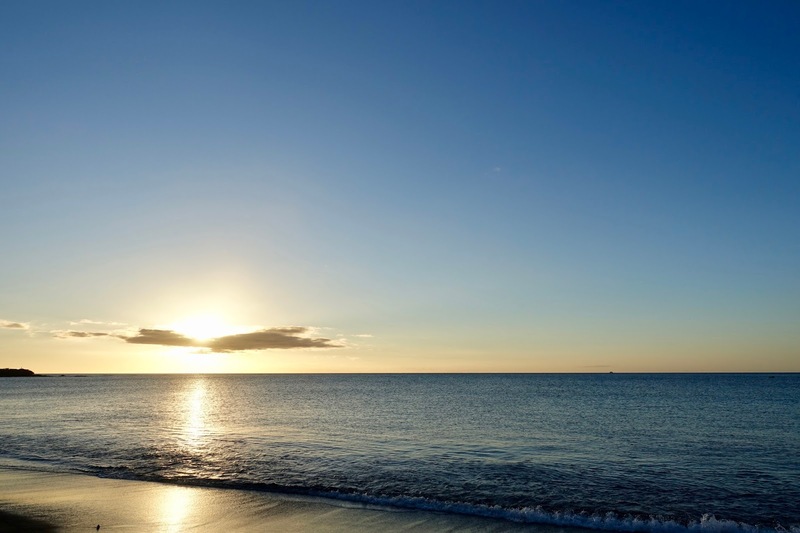 When the ship relocated to Las Bachas, it was time for another nature walk and some leisure time at the beautiful white sandy beach. 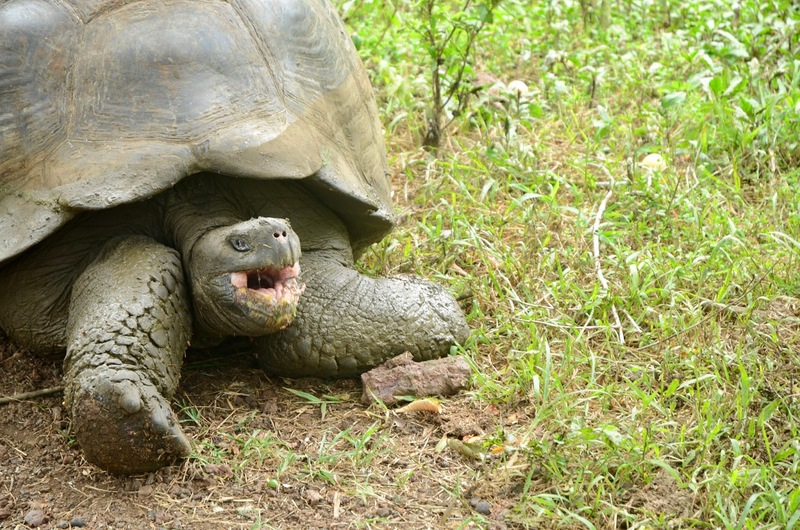 After a visit of Los Gemelos, two crater-like sink holes in a forest of tall scalesia trees, we headed for El Chato Farm, a private property which gets visited by wild giant tortoises most of the year. 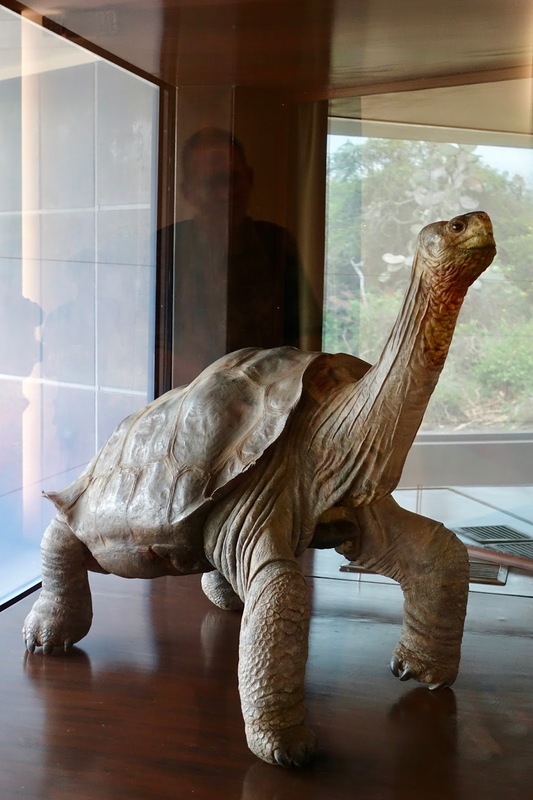 The afternoon was devoted to visiting the Fausto Llerena Breeding Center to see the iconic saddleback tortoises after which the islands were named and to pay a call to Lonesome George, the preserved body of the last known Pinta Island tortoise, who died in 2012 without leaving offspring. 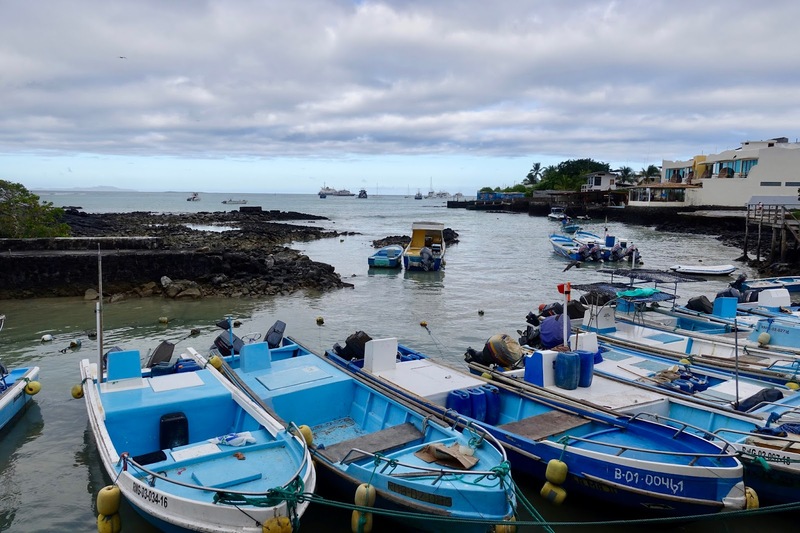 After some free time in the quiet town of Puerto Ayora, the largest one of the Galapagos Islands, we returned the last time by zodiac to our ship. Our journey was over, but the memories of this unique encounter would stay forever! 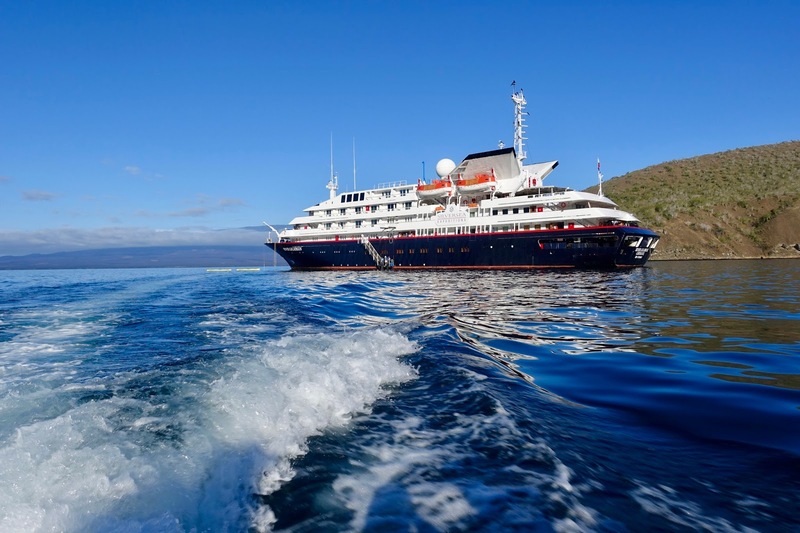 There is no better way to explore the fascinating archipelago of Galapagos than by an expedition ship. And if you want to this with touches of luxury, go for the Silver Galapagos! It actually is an adventure voyage, but one that comes with amenities such as Italian luxury linens, butler service and private verandas. 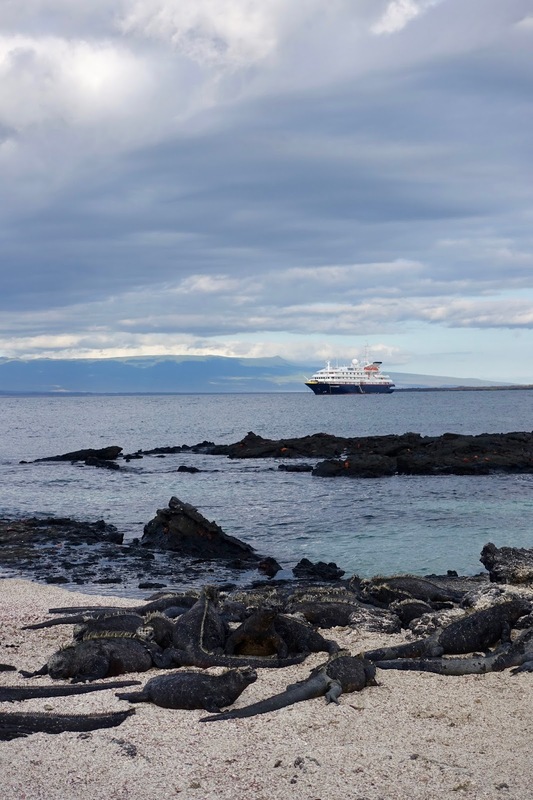 If you want to have even more information on our trip, Silversea provides a voyage journal of our Galapagos trip, made by the naturalist guides: No 8721 (our specific journey). 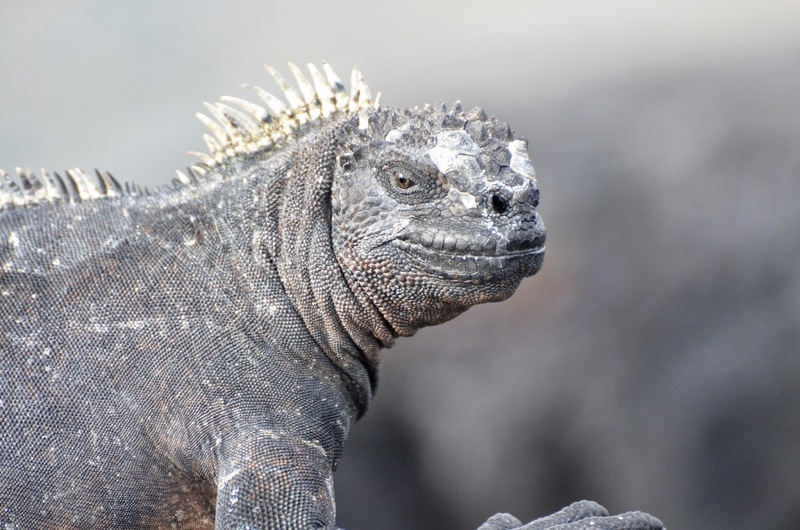 My last post about Ecuador in general and the Galapagos Islands in particular will be a description of a typical day aboard the Silver Galapagos. Come back to check it out. 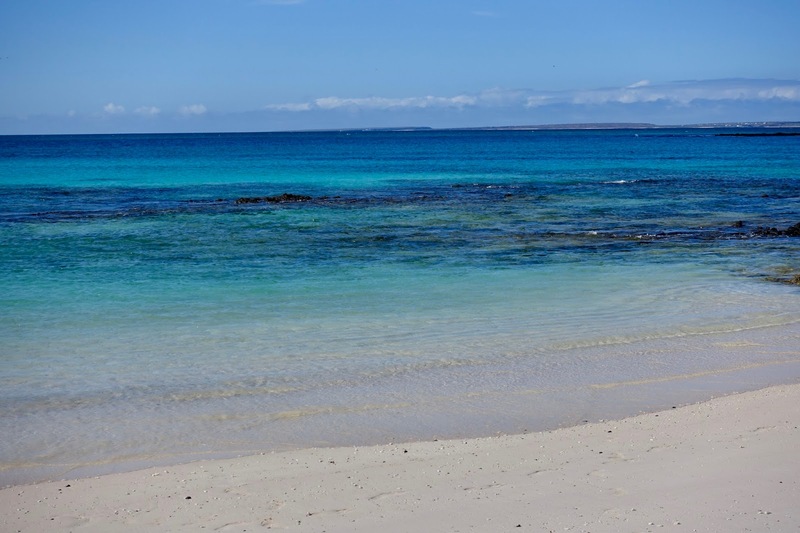 Have you been to Galapagos Islands? What have been your experiences?